Christmas is a time for bright lights and beautiful decorations. There are plenty of ways to decorate your house this festive season and one of them is undoubtedly the Garland decorations! We, therefore, bring to you numerous innovative ideas ranging from classic garlands for banisters, mantels, windows, and doorways. Plus, we give you a little modern twist — adding them to dining chairs and chandeliers to transform your everyday spaces into a winter wonderland. 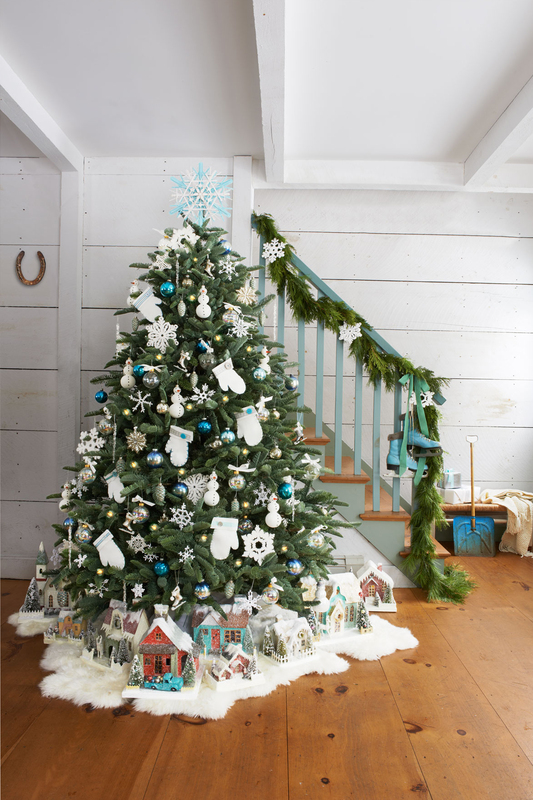 We start our list with a unique idea for Garland decorations this Christmas – bows! 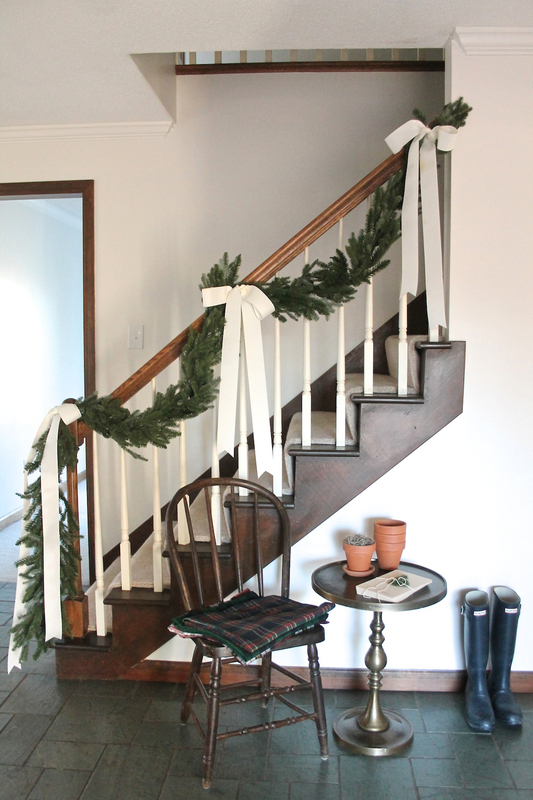 Attach beautiful bows to the garland for a subtle yet pretty entryway! 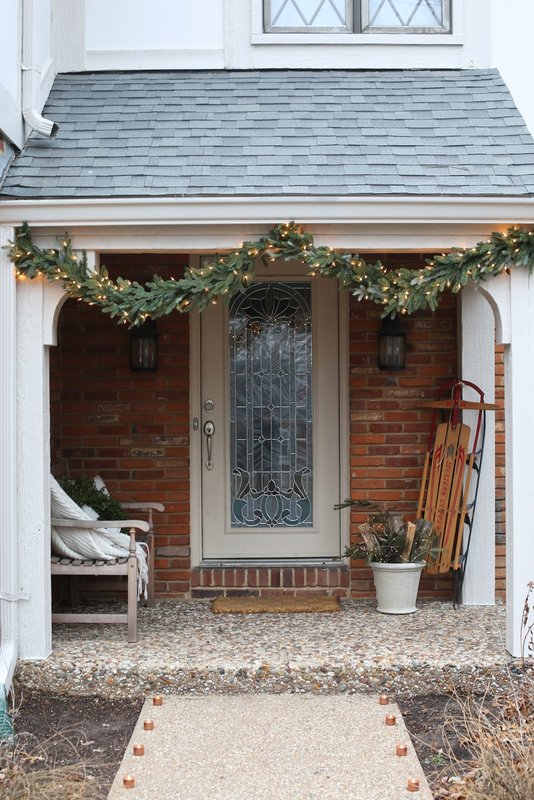 Adorn your main door with a simple and Christmassy decoration with this beautiful garland hanging above the entry. What a beautiful decoration! 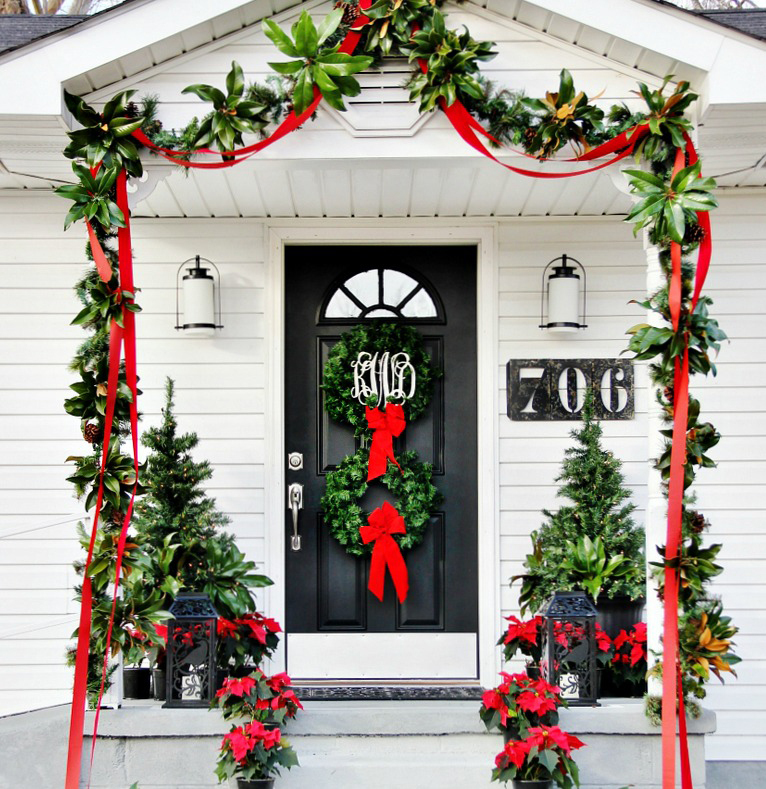 A mix of fresh green garland ensures this cute house will turn heads during the holiday season. 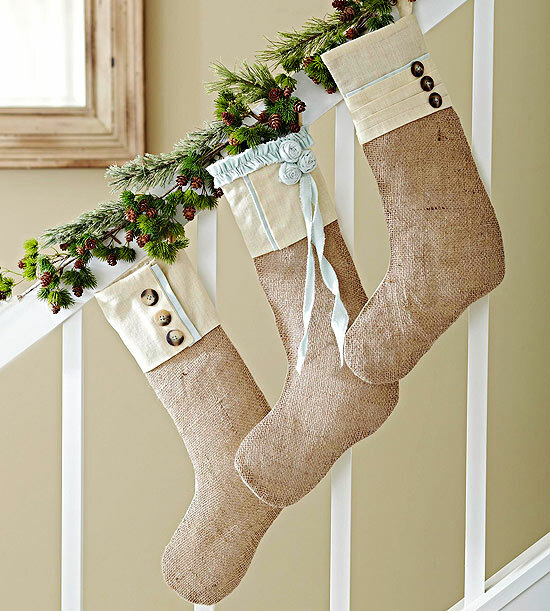 This is probably one of the best garland decorations with lighted stockings! Welcome Santa with this beautiful garland decoration! 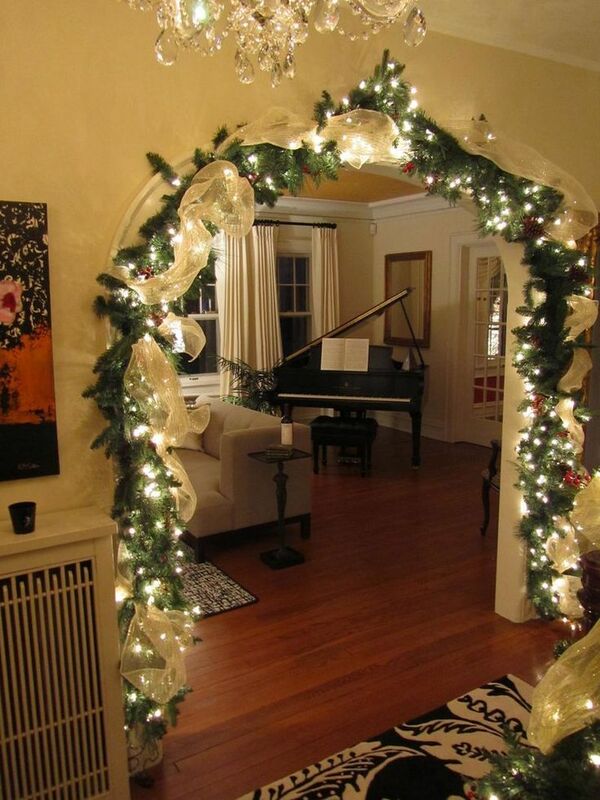 Place garland lights in the living room entryway for a bright and warm Christmas ambience. A perfect living room decoration for this festive season. 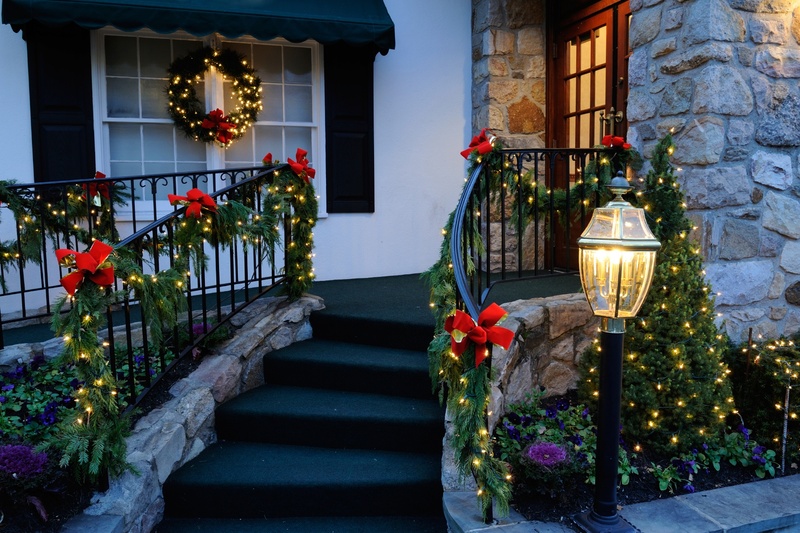 Adorn your porch with this beautiful garland decoration and give your guests a warm welcome to your house! 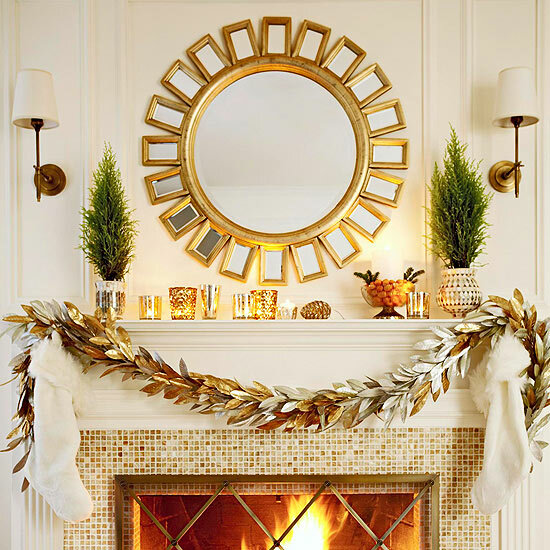 A gold garland around your fireplace is just the elegant stuff you need for your Christmas decorations. Just go with this! The use of ornaments juts makes any decoration much more elegant than before. The same is the case with this garland decoration which enhances the beauty your house! 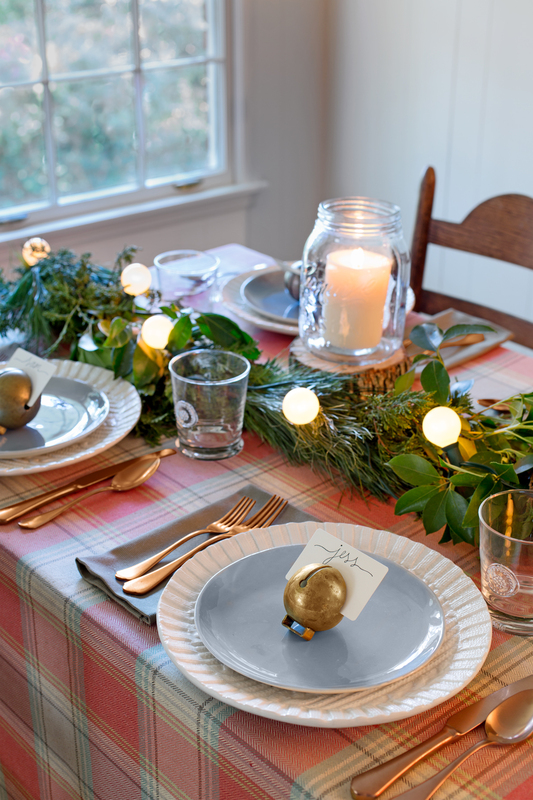 Another brilliant garland decoration can be to set one on the dining table! This decoration gives a beautiful effect to your table and adds to the festive cheer! 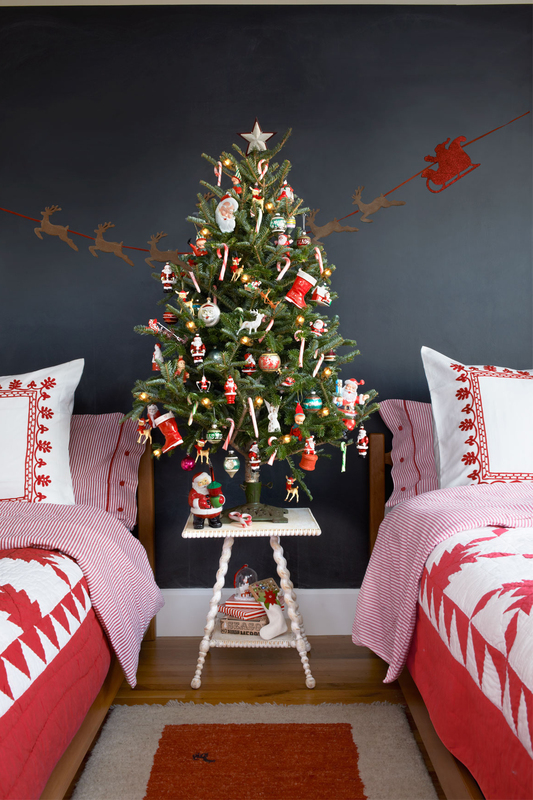 Leaping reindeers drag Santa’s sleigh across a child’s bedroom in this cute display. 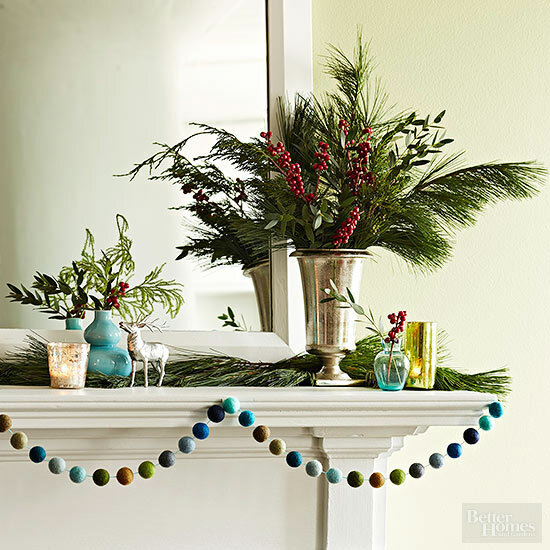 Another really innovative idea is the Pine cone garland! 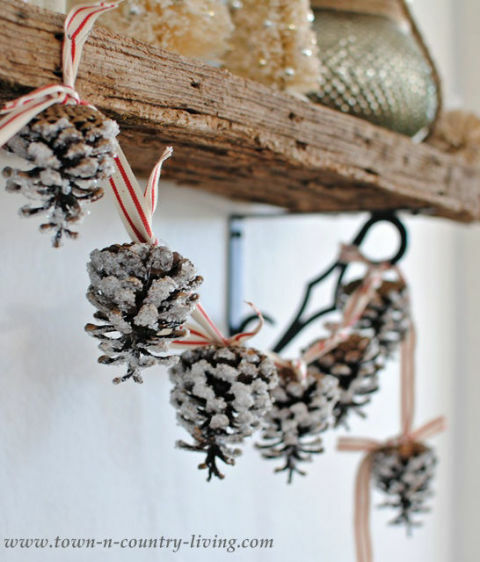 Frosted pine cones strung across a shelf will make any home feel like a cabin in the woods. 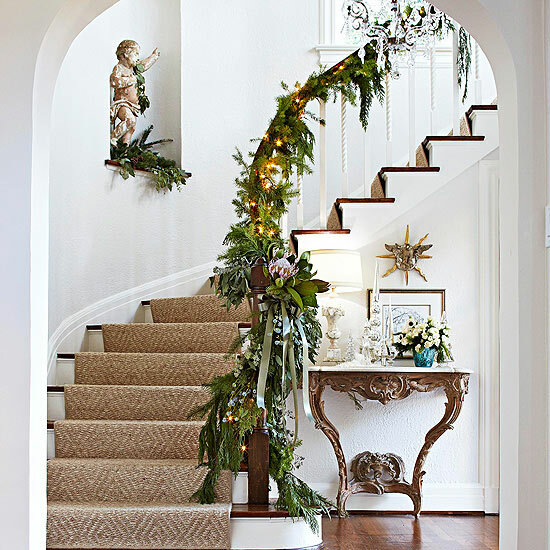 For a beautiful garland decoration, attach snowflakes to your garland as it slides down the stairs and meets beautiful Christmas tree! A classic garland decoration with an intricate garland made from fresh asparagus ferns and evergreen shrubs.An evergreen decorative idea! Any layered décor is better than a simple one. 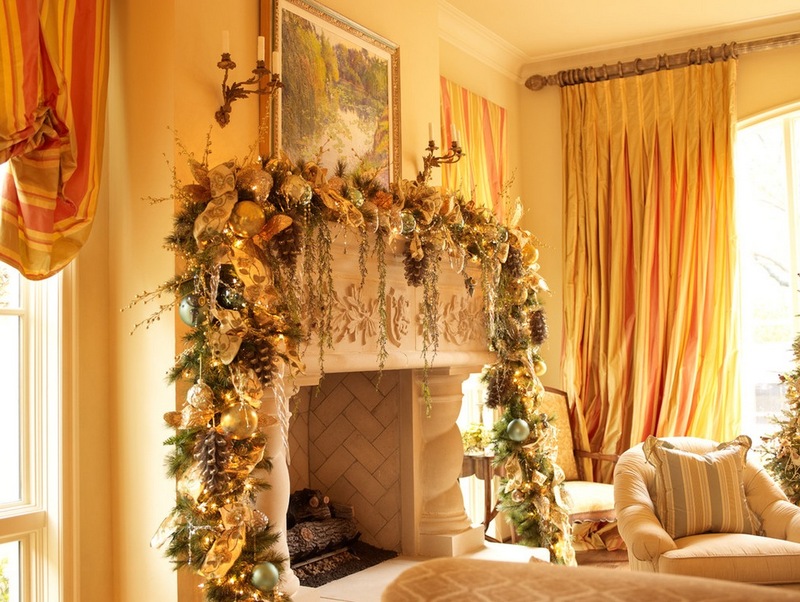 A garland that’s layered offers incredible allure for your holiday decorating. 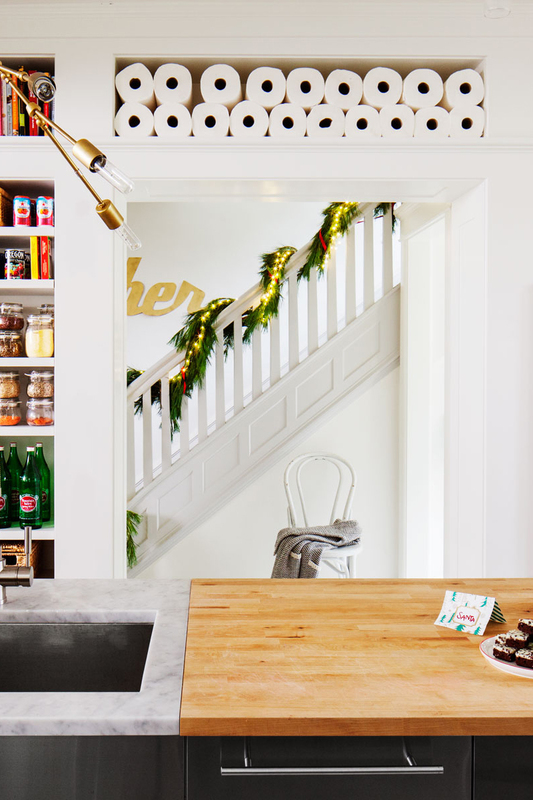 What is better than a simple Garland? A glowing garland! 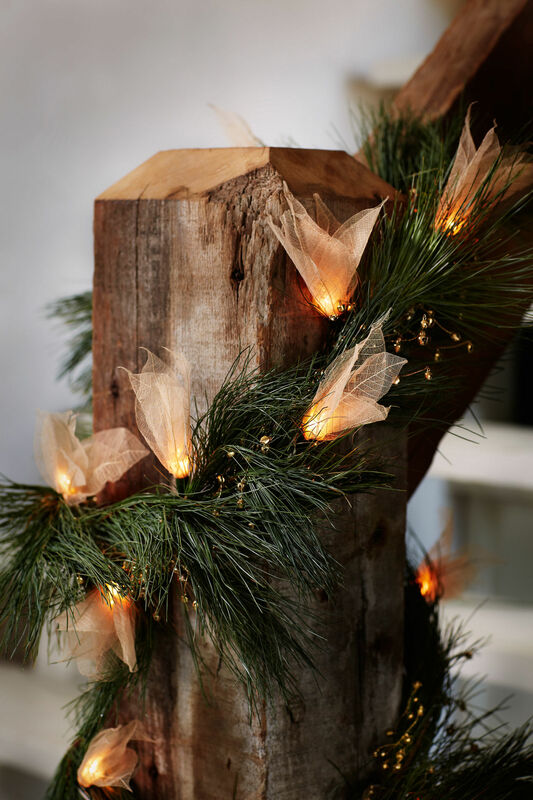 Light up your garland and fill your house with brightness! 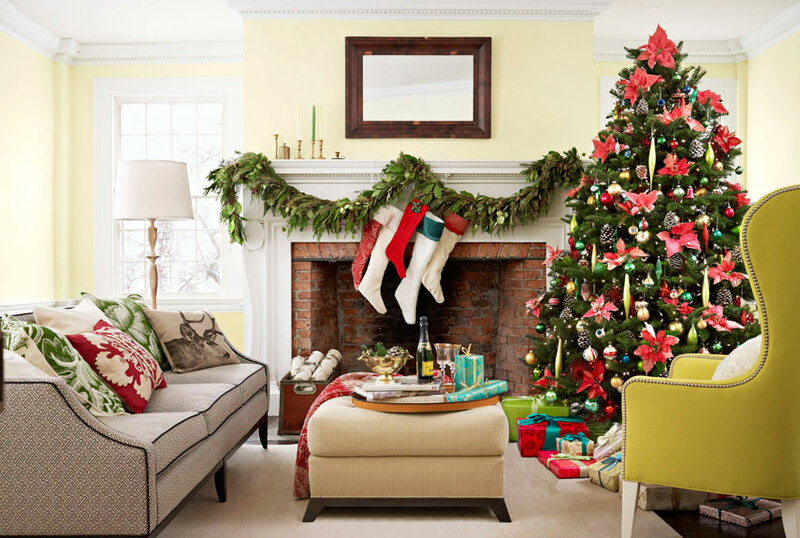 Keep your decorations simple yet attractive with a purely subtle garland decoration for your mantle. Instead of bunching your garland, you can drape it to add a dramatic emphasis to their living room just as shown in the photo! 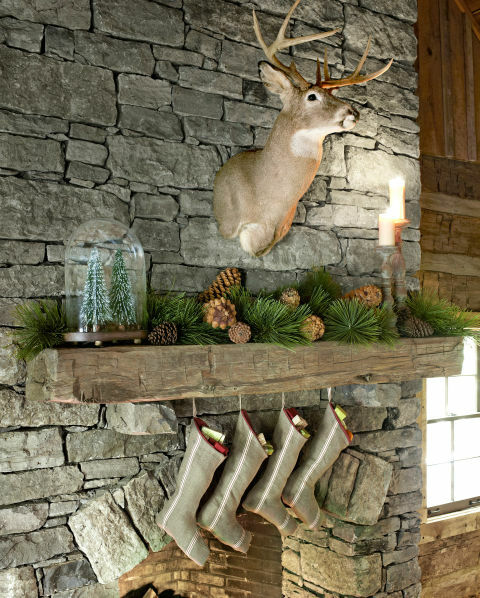 This garland decoration perfectly complements the rustic ambience of the place and gives an enhanced look all over. 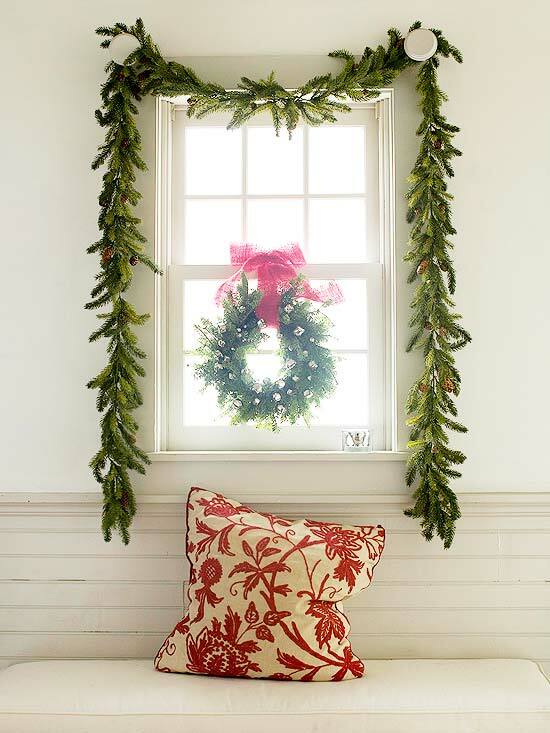 Dress a window with a basic pine garland for instant holiday cheer — simple yet stunning. 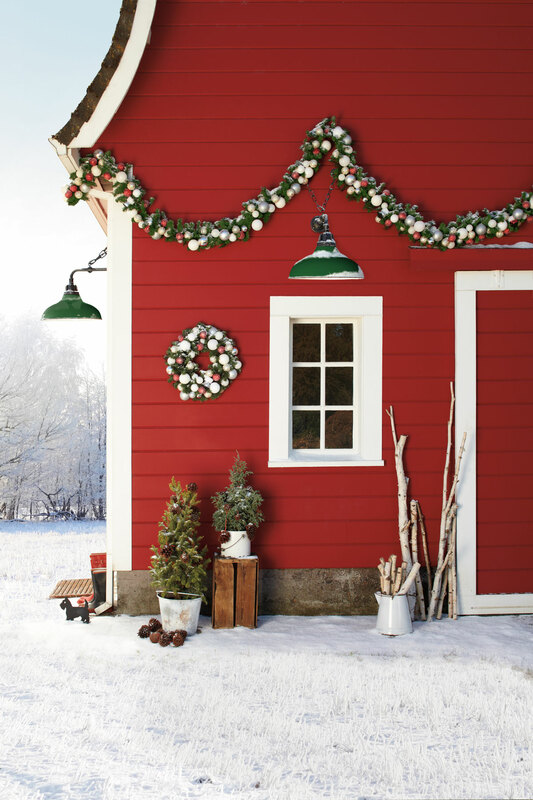 If you want a little extra decoration, hang a small wreath topped with a bright red bow inside the window frame. 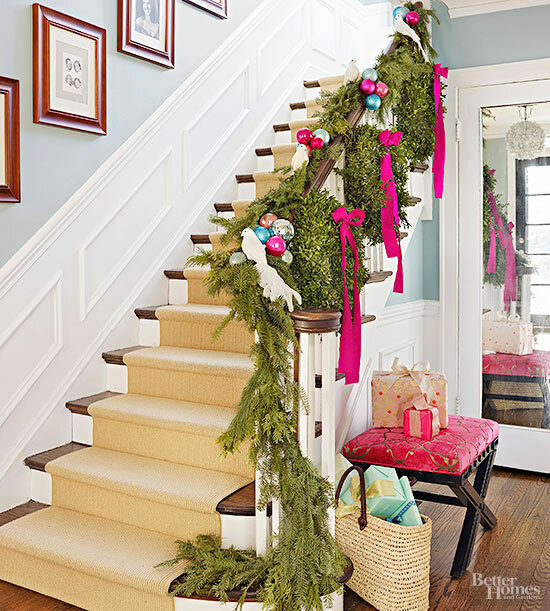 Deck up doorways of your house with this lovely evergreen garland decoration. 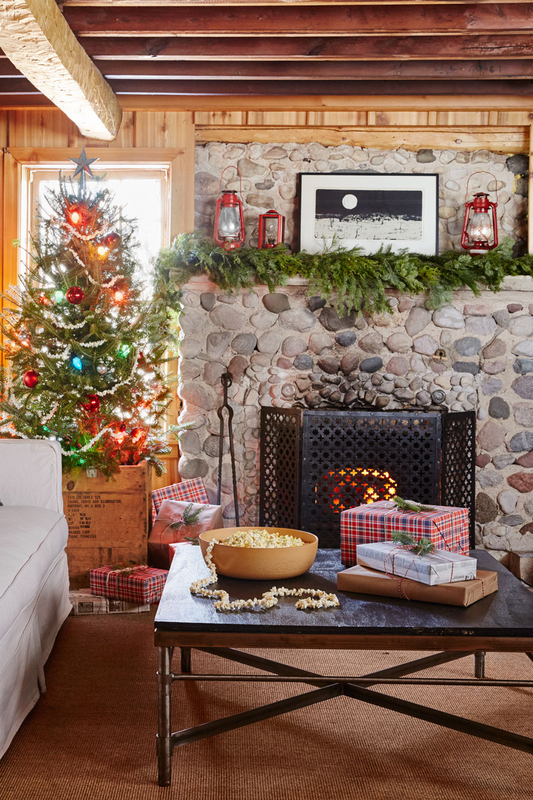 Spread the joy of Christmas in every room! 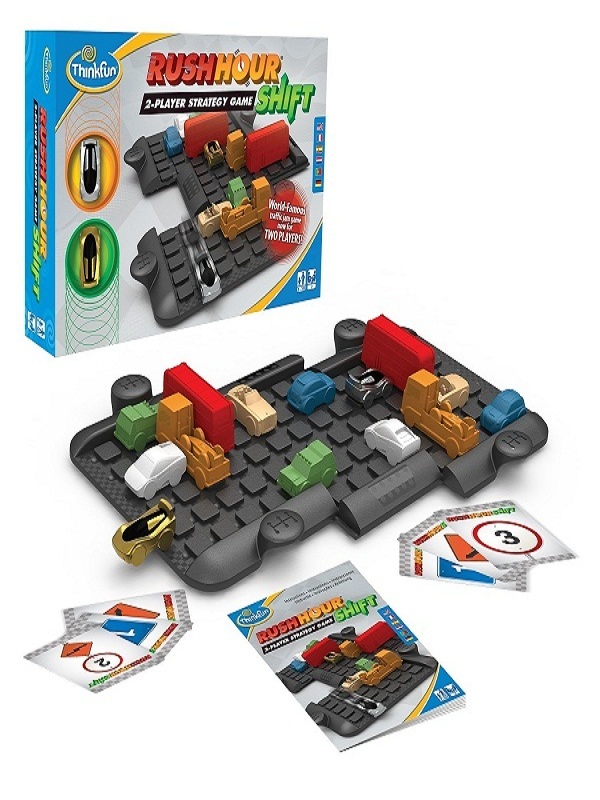 Another amazing idea to execute! A parade of felt flowers is a sweet alternative to the usual ribbon and pinecones adorning evergreen boughs. 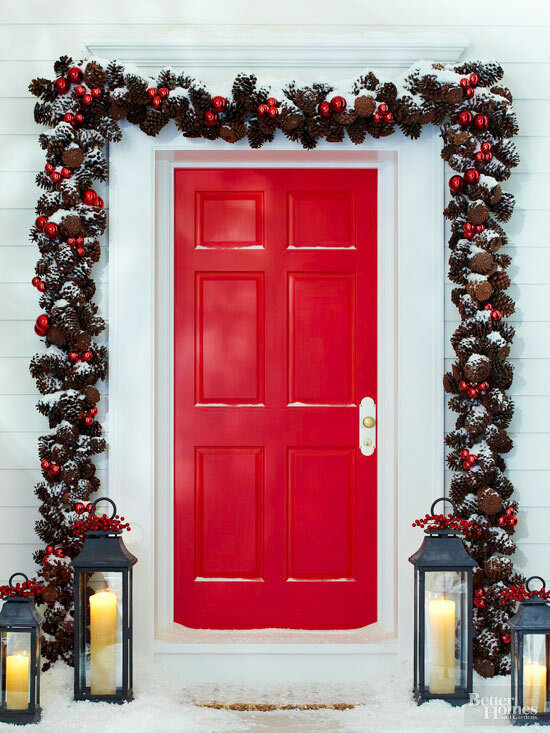 Customize a ready-made pinecone garland with ornaments that coordinate with the color of your front door to welcome your guests in traditional style. Make it a memorable one! 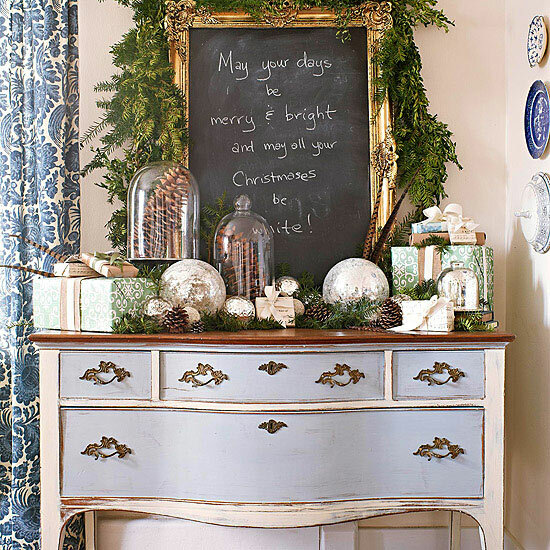 Try this faux magnolia garland: Metallic silver and gold spray paint transform a once-green magnolia swag into a sparkling holiday showpiece. Decorate your hanging socks with these tiny gruopings of pine cones with lush green ferns! 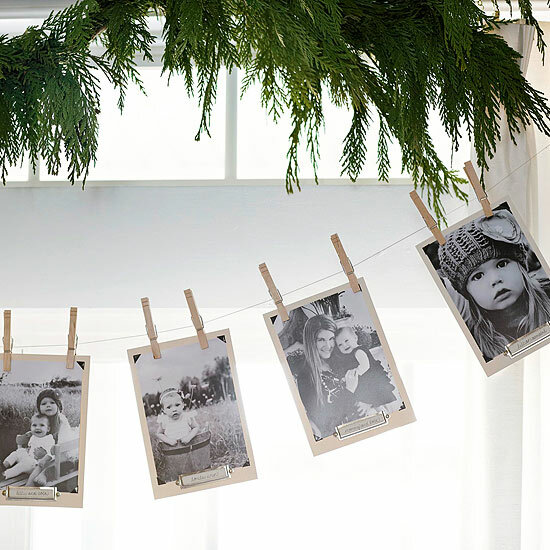 Here’s a great idea to capture and display yearly holiday memories: a photo garland. 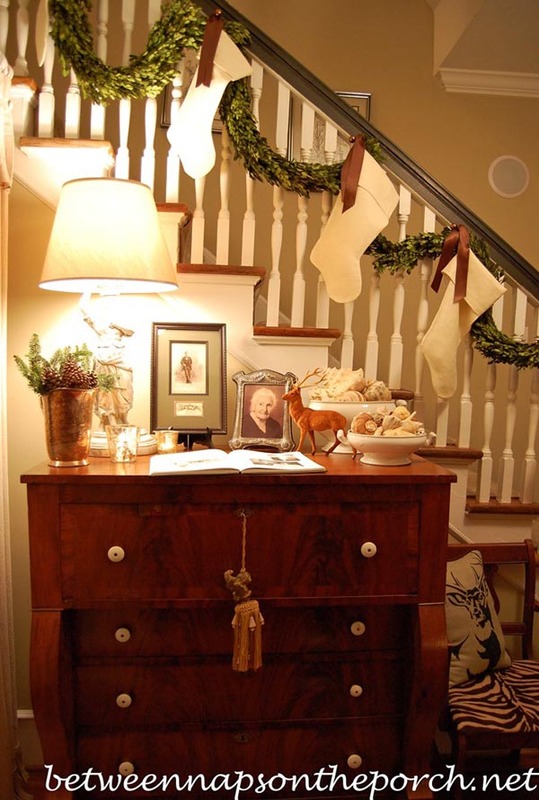 Hang the photos from plain or colored twine using clothespins; use the garland to adorn a doorway, window, or mantel. There are probably more opportunities than you realize to add beautiful garlands to your holiday displays. For example, oversize artwork, cabinet drawers, and frames are spots that allow garland to naturally drape. Go ahead choose your favourite spots. 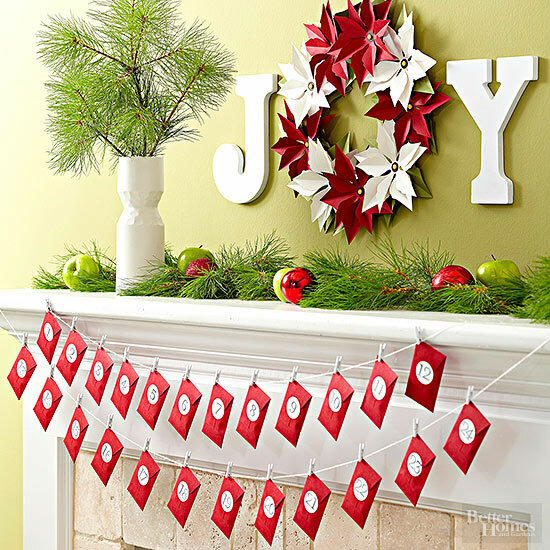 Deck up your mantel with this creative advent calendar garland and get ready for Christmas! 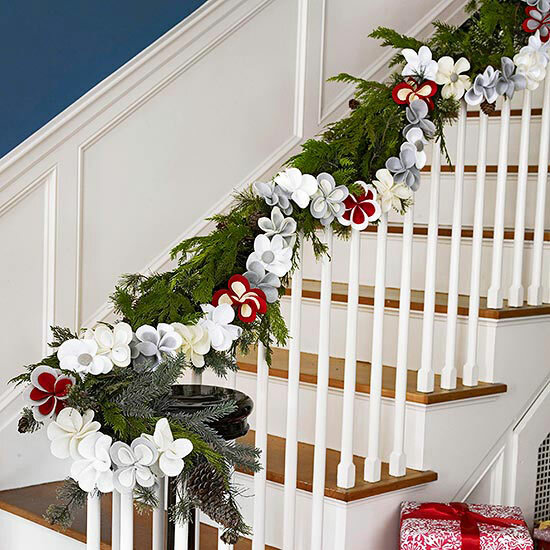 Adorn your staircase with these beautiful dove garlands! White faux doves are a great way to spread a peaceful message during the holidays. Deck your house with multiple types and sizes of garlands in all the surroundings of your house. 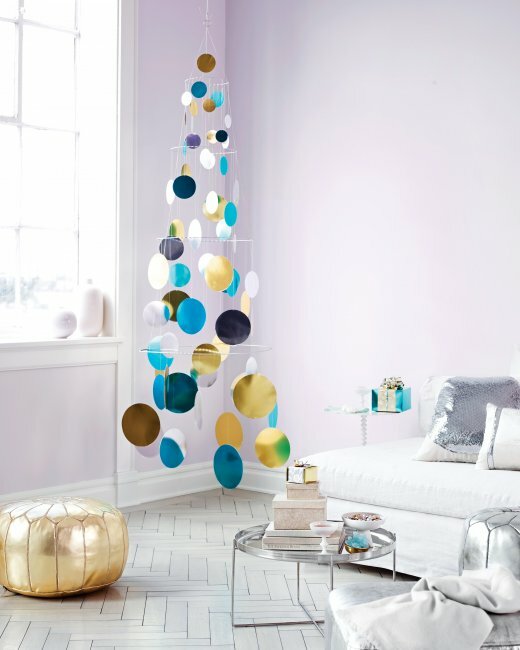 Go bigger with the decorations this Christmas! 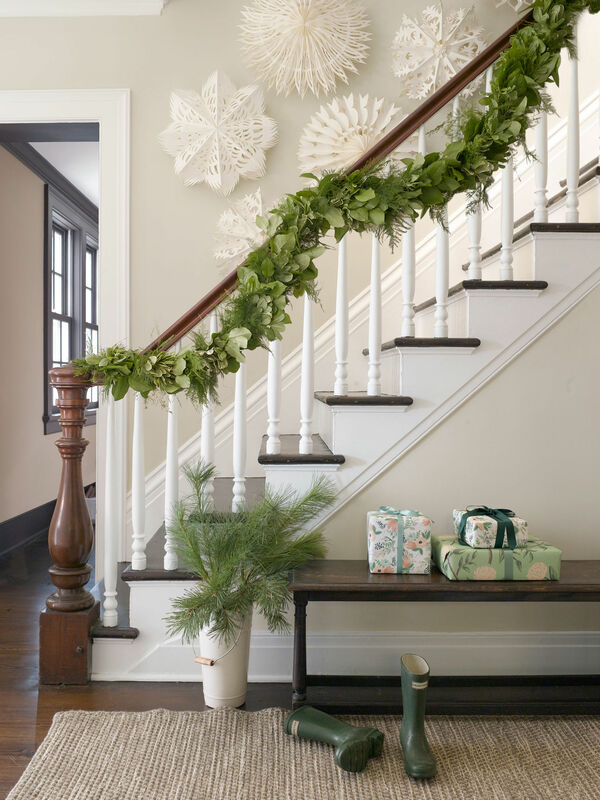 DIY Holly garlands are another very unique decoration that you can try this Christmas. 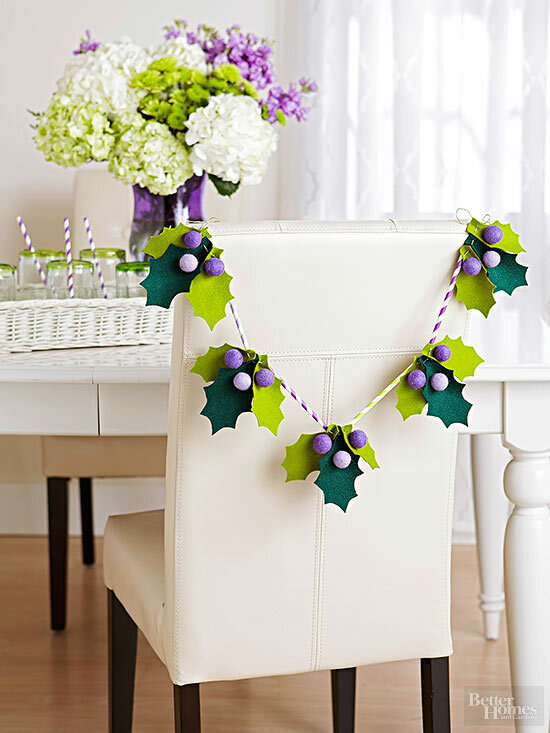 Adorn chair backs with this cute and creative holly garland and make the heads turn to this wonderful idea! 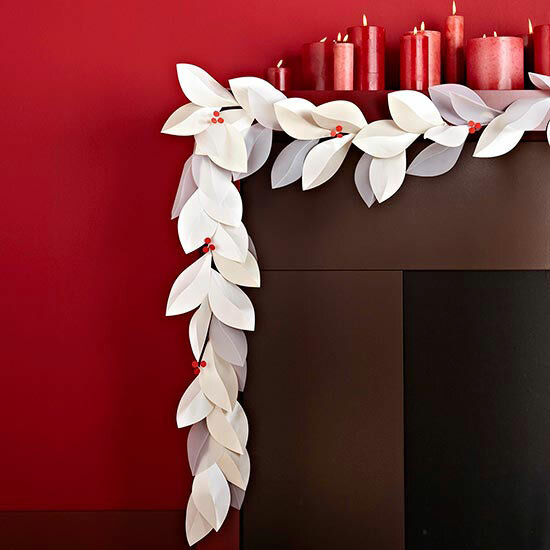 Make your own gorgeous Christmas garland with vellum and paper leaves. They are extremely pretty and quite easy to make! A very simple garland decoration. 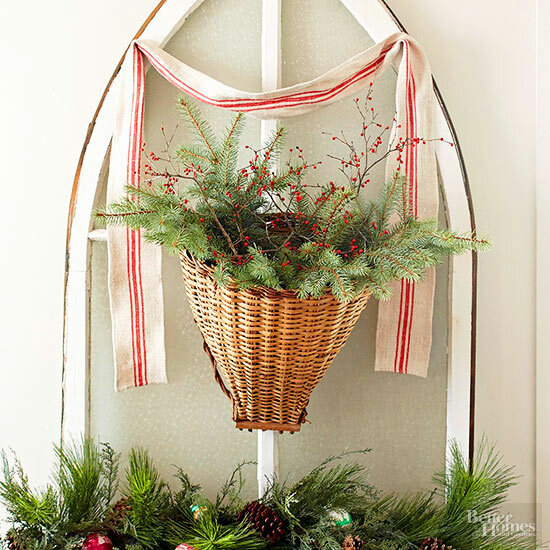 Go for this vintage fabric garland decoration covering a basket with ferns! A simple and very sober decoration, indeed. Add some star power to your Christmas decorations and make it a starry night worth remembering! 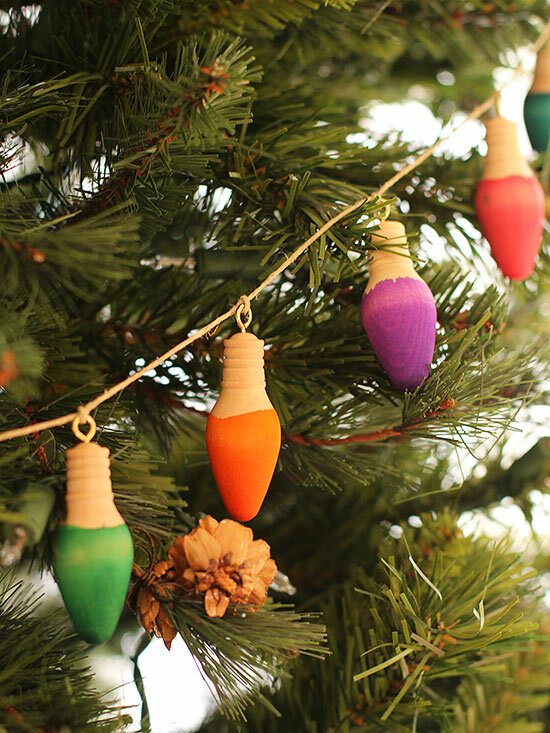 These wonderful lights garland can light up your decorations with colours dyed on them. A pretty good idea, isn’t it? Perhaps the most sweet decoration! 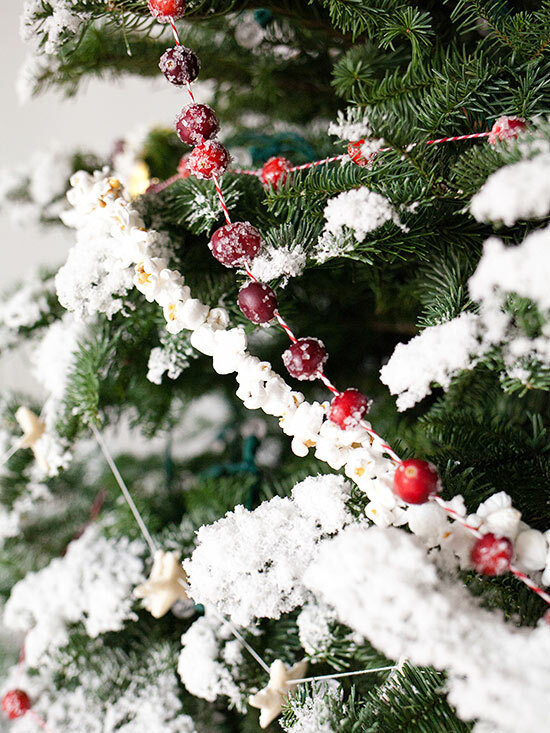 This sugared cranberry garlands are always a delightful idea as they have been a traditional item of the season! One of the very best parts about the Christmas season is the collection of packages that gather beneath the tree. 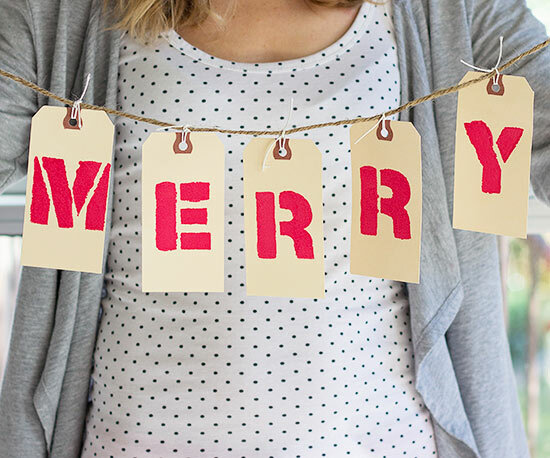 Carry the package theme all the way through the house with this whimsical shipping tag garland! Keep your decorations simple yet pretty. Add a splash of color that won’t overpower mantel décor. This is precisely a beautiful decorative idea! 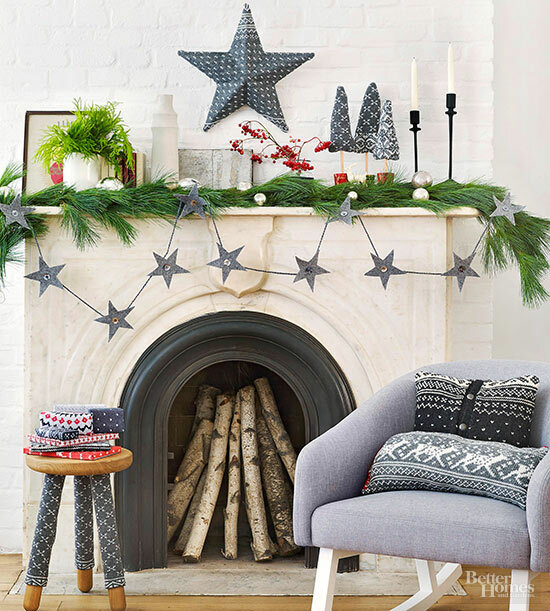 Adorn your mantle with a garland and a beautiful star shaped wreath to give a starry effect this festive season. Simply gorgeous! Go for this idea this Christmas and attach lights to your garland decorations and wait for the compliments to overflow! 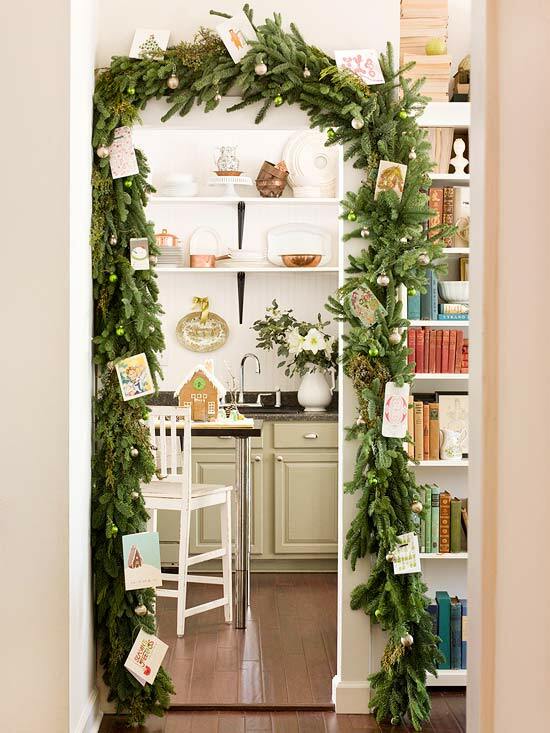 Hang this beautiful fir garland to give a war and cozy winter feel to your creative corner! 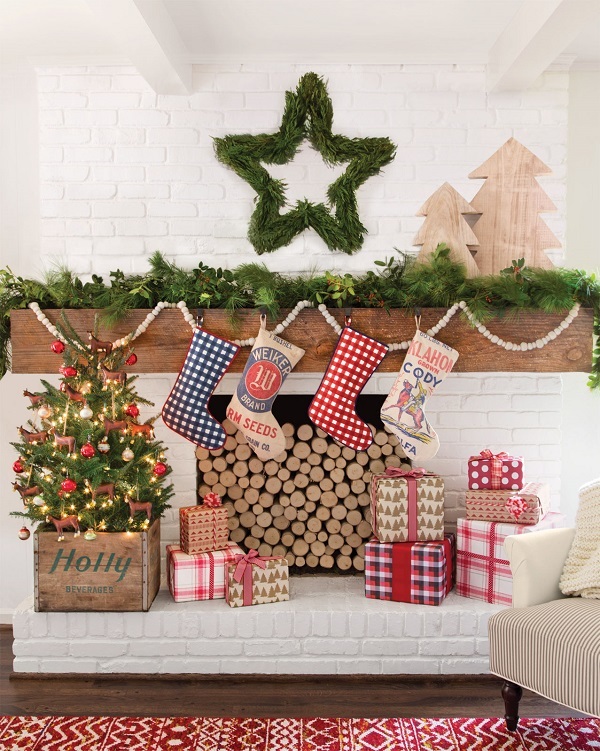 These are some of the many ways you can decorate your house using various types of garlands this Christmas! If you have more ideas or tips to share, do so in the comments section below. Have a joyful Christmas!